It’s a good day for Apple fans in India. The Cupertino based technology giant’s recently launched iPad Air and iPad Mini models have gone on sale in India today. 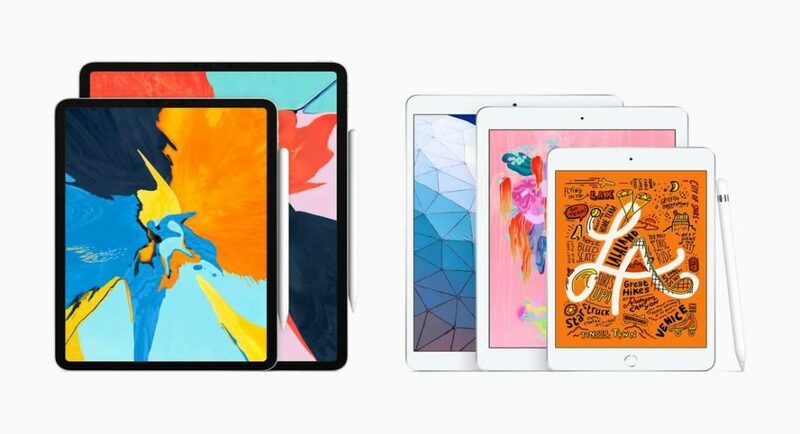 The 10.5-inch iPad Air and an iPad Mini 2019 were launched in the United States last month and today, they have finally made their way to India. Both the new iPads are available in Wi-Fi and Wi-Fi + Cellular models. The iPad Air (2019) model’s 64GB storage Wi-Fi variant can be picked up at Rs 44,900, and on the other hand, its Wi-Fi + Cellular model is priced at Rs 55,900. The Wi-Fi and Wi-Fi + Cellular variants of the 256GB storage cost Rs 58,900 and Rs 69,900 respectively. Coming to iPad Mini, its Wi-Fi and Wi-Fi + Cellular models with 64GB storage cost Rs 34,900 and Rs 45,900. The same variants with 356GB storage variant are available at Rs 48,900 and Rs 59,900 respectively. Both the iPads will be available in Silver, Space Grey and Gold colours. As per two Apple Authorised retailers in New Delhi, the new iPads will start selling within the next two weeks. However, the sellers have started taking pre-bookings for it. We’ll start by talking about the specifications of the iPad Air (2019). The newly launched iPad features a 10.5-inch LED-backlit Retina display and has a pixel resolution of 1668×2224. Powered by A12 Bionic chip, the iPad Air (2019) is available in two storage options – 64GB and 256GB. For imaging duties, iPad Air (2019) has an 8MP rear camera that comes with an f/2.4 aperture and a five-element lens. However, a flash is not available on the device. For selfies and video calls, there is a 7MP selfie camera on the tablet coupled with a Retina flash. For connectivity, iPad Air (2019) supports Bluetooth v5.0, Wi-Fi 802.11ac, and optional LTE support. While the new iPad does not come with Face ID, but it does have support for Touch ID. Speaking of the new iPad Mini (2019), it has a 7.9-inch LED-backlit Retina display that has a pixel resolution of 1536×2048. The rest of the specifications of iPad Mini (2019) are the same as iPad Air (2019). Both the devices are compatible with Apple Pencil (1st generation).